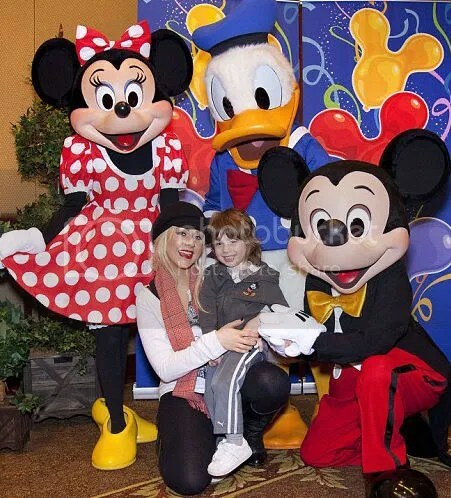 Singer Christina Aguilera treated son Max Liron, 3 today, to an early birthday trip to Disneyland on Tuesday, January 11th. While there, the pair even got to meet Donald Duck and Mickey and Minnie Mouse. Actress Alyson Hannigan celebrated her 36th birthday, along with daughter Satyana Marie also celebrating her 1st birthday, by going out for a family meal with husband Alexis Denisof on Wednesday March 24th. What Her Name Means: It is Hebrew of origin and means burning angel. It comes from the word seraphim and in the bible it is a name referred to the heavenly winged angels surrounding the throne of God. When your dad is a world renowned, Michelin-starred chef, you can expect your birthday tea to be a bit special. Young Jean Frankie Patrick Kennedy Novelli, who turned 1 on August 29th 2009 and is the son of French chef Jean-Christophe Novelli and his fiancee Michelle Kennedy – wasn’t about to be disappointed. The picnic his proud parents laid on to celebrate his first birthday included a divine chocolate cake, encased in sponge fingers and adorned with a blue sugary teddy bear, whipped up that morning by Natacha Charlez, considered by many to be the best chocolatier in France. Settling into their new house in Louisville, Kentucky, Larry Birkhead and his daughter Dannielynn Hope, who turned 3 on Sept. 7, are living proof that love can triumph over tragedy. After her mother, Anna Nicole Smith, died of drug-related complications, the tot was the centre of a custody battle which continues today. Through it all, America has only wanted what’s best for this little girl. At last, it seems she’s getting just that. Away from the spotlight in her photographer father’s hometown, surrounded by family and friends, the mini Anna and SpongeBob devotee is just like any other child her age — which is exactly how her doting dad wants it. While celebrating her 35th birthday in Tuscany, Italy with close family and friends, actress Hilary Swank happily posed for photographs with her boyfriend of 3 years, John Campisi and his son Sam, 6. I love spending time with Sam and I love when we can all go on vaction together. Last year we went to Italy and Greece. He’s a wonderful traveller. He’s been to many places. He helped pick Rami [one of her dogs] from the pound. I wanted to stress the importance of saving a dog’s life. He loves the dogs and he loves how they came away with us. They swim with us every day. Sam loves to swim. When we all jumped in [to the pool], he was jumping in with us in the deep end. Ricky Martin Celebrates His Twin Sons’ First Birthday! It would be difficult for anyone to look more relaxed — or prouder — than Ricky Martin. Weather he’s carrying his adorable twin boys Valentino and Matteo or laying with them on a beach, he looks to be in his element as he celebrates their 1st birthday in Miami.